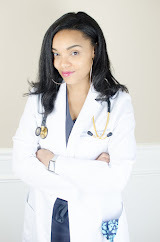 I know that resident-mamas aren't the only ones that struggle with regularly doing something nice for themselves... My devotion to this cause has waxed and waned over my motherhood career. When you are crunched for time, taking care of yourself is usually the first thing to go. One of my goals for 2016 was to do better when it came to this, and since my hours aren't really going to change, I have to get creative. By creative I mean taking the work and effort out of things so that they get done without being an additional burden. We are now into the last quarter of the year (unreal), and this is still a work in progress. Because many of us have this same story, a number of genius women have sought to make it a little easier on us. 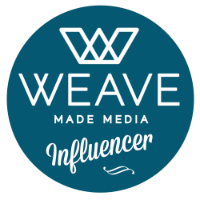 Kelley McLean, the creator of MamaBu Box, is one of them. Kelley writes, "the Mamabu Box team is passionate about empowering purposeful moms to take time to be intentional about practicing self-care. We want to support moms in finding and living their calling while setting an example for their children that with God all things are possible. However, we know that often in the quest to do and have it all we sometimes can let our own care fall by the wayside. Mamabu Box is a convenient bimonthly care-package curated around themes that remind us to check in with ourselves. In each package we highlight a mom-owned business and share a mommy inspiration from a fellow mom. 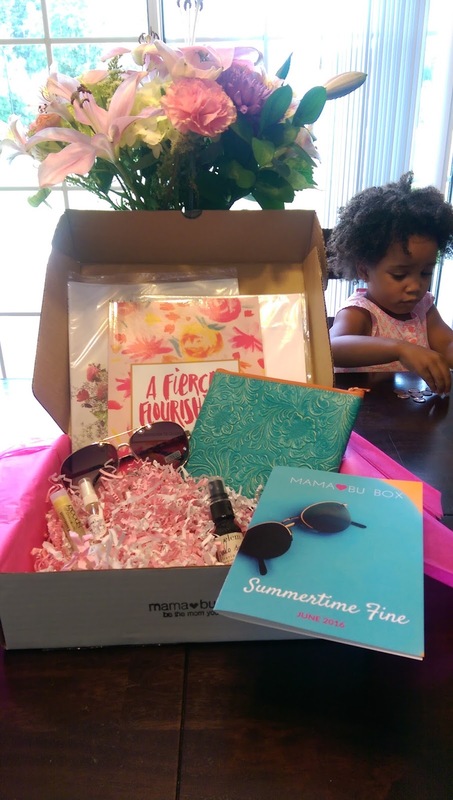 We basically want to provide moms with an outlet to give themselves the attention they deserve; and look really cute doing it!”"
My summer-themed box was not only gorgeous in color, but practical. In her personalized note, Kelley explained how each item was to not only help you unwind, but also get you outside for some much needed solitude or fun with your kids. 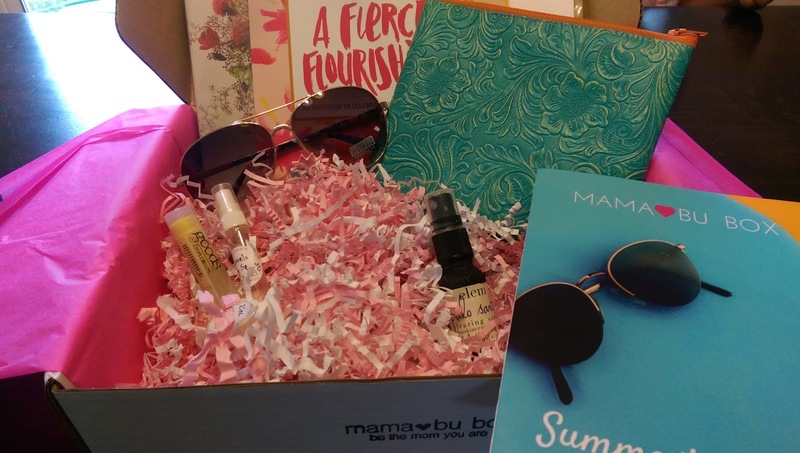 My box included organic lip balm and bug spray, a gorgeous clutch tote and aviators for chic travel, and my favorite, a heavenly, lavender scented deodorizer that definitely mellowed me out on my car trips to work. This is a monthly subscription worth the investment. 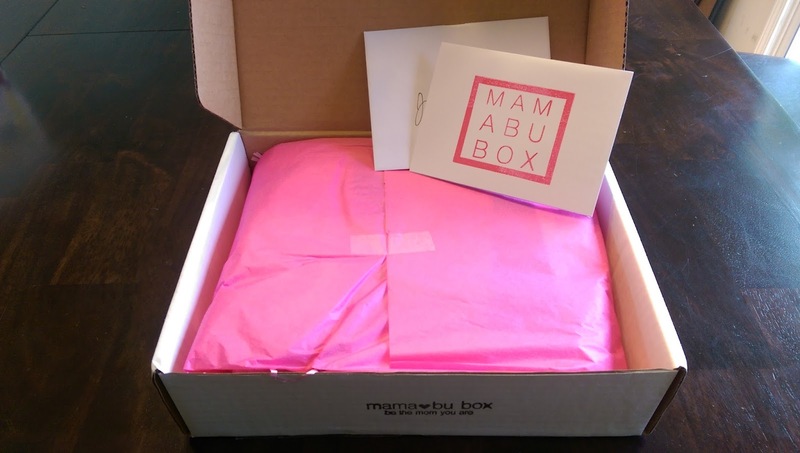 The great thing is, if you aren’t ready to commit to a membership, you can purchase each box in their shop (http://mamabubox.com/shop/all/) as a one-time purchase, as long as they are available. If the idea of taking care of yourself isn't incentive enough, a portion of all proceeds go to support mom-owned businesses! 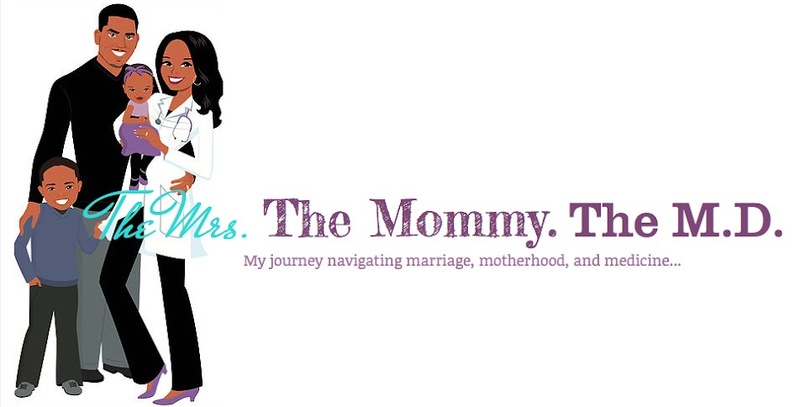 So you can help take care of other well-deserving mamas. Right on, ladies! Use code MOMMYMRSMD15 for %15 off your first box. Sign up by October 23rd to get your November themed "Mommy Retreat" box!